Day after day, the American bomber boys watched their comrades burn to death in blazing bombers, or observed their comrades being thrown out of exploding aircraft without parachutes and sink with their crippled aircraft in the freezing North Sea. But by the following spring they had destroyed the Nazi's fighting spirit and saw Germany broken in two. 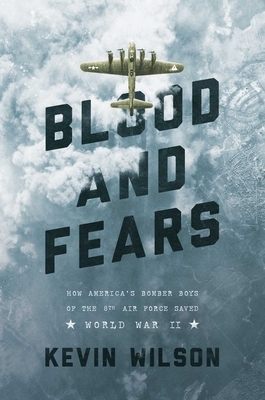 In this authoritative history, Kevin Wilson reveals the blood and heroism of the 8th Air Force. At the same time, he opens up the lives of the Women's Army Corps and Red Cross girls who served in England with them and feared for the men in the skies, and he hasn't flinched from recounting the devastation of bombing or the testimony of shocked German civilians. Drawing on first-hand accounts from diaries, letters, and his personal audio recordings, the author has brought to life the ebullient Americans' interaction with their British counterparts, unveiling stories of humanity and heartbreak. Thanks to America's bomber boys and girls, the tide of World War II shifted forever.